These adorable slip on ballet flats will complete any outfit! They can be worn as dress shoes and on the casual side. There is a zipper on the back that makes these easy to put on and easy to take off. Soft suede means that these ballerina shoes will be adorable all year long! 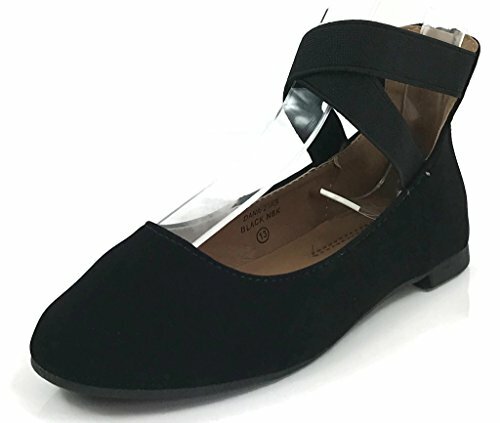 The ankle strap makes these flats extremely comfortable and practical for your toddler, little girl, or big girl. Kids are bound to be jealous of your daughters beautiful shoes.